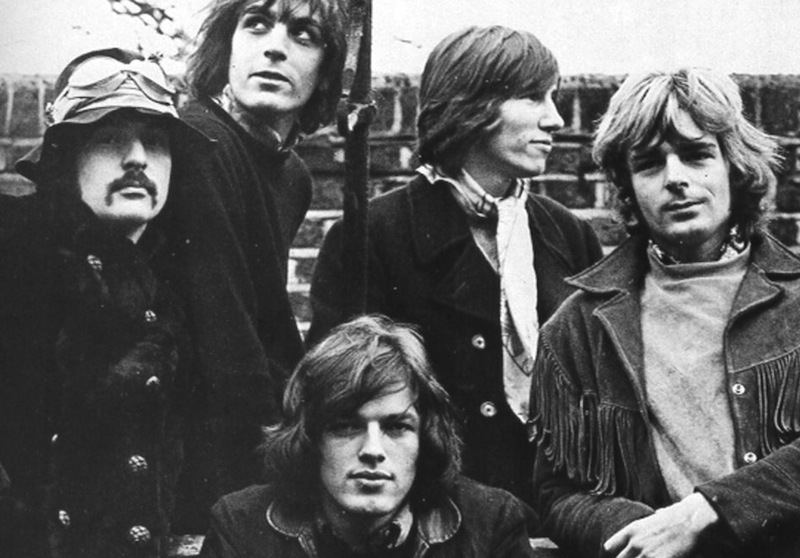 Pink Floyd (left to right): Nick Mason, Syd Barrett, David Gilmour, Roger Waters, and Richard Wright. Fifty years ago, Pink Floyd emerged from the underground music scene of London's Soho district and released their debut album, The Piper at The Gates of Dawn (Columbia/EMI). The band played the UFO club (pron. YOU-faux) under the steady guidance of Joe Boyd, the American owner of the venue, who said they “engrossed” the crowd every night, not by playing dance music or pop songs but adding a light show to complement their improvisational sets. 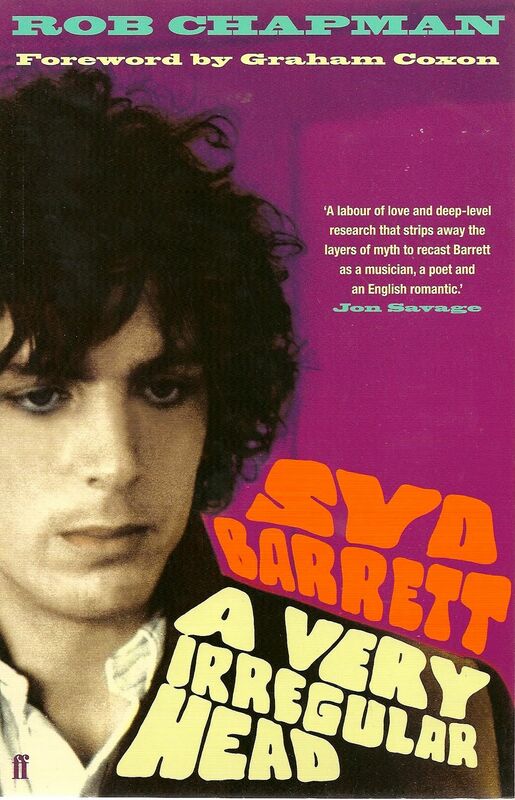 It was a band trying to find their sound with a slightly flamboyant front man by the name of Roger “Syd” Barrett. By the end of January 1968, David Gilmour replaced Barrett, to join Roger Waters, Rick Wright and Nick Mason to continue as the band we know now. 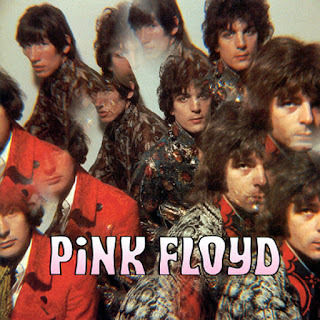 I say this because The Piper at the Gates of Dawn is so far removed from 1972's Dark Side of The Moon that it’s almost impossible to believe the two groups are connected. Yet three-fourths of the original band is on that classic ’72 release. So how are we to assess the Pink Floyd’s debut? Well, The Piper at the Gates of Dawn is not only from its time, it’s of its time, capturing the band’s early performances. It’s less an artifact and more a snapshot of the Barrett-led group and its engaging music. During the few years when rock 'n' roll met the psychedelic free spirit of the late sixties, Pink Floyd earnestly merged the two cultures into a musical form that was new and experimental and had a lot of spectacle. It was a short-lived era, but Pink Floyd, along with Procol Harum, The Mothers of Invention, Jimi Hendrix and Soft Machine made hay while the psychedelic sun shined. Norman Smith in the EMI Studios, London, now known as Abbey Road, produced it. It was Smith's first assignment after moving up from engineer while working with The Beatles in those magical studios and he captured it all on tape. The original title of the album was Projection, a nod to the projection of coloured images across the band during their performances. But Barrett’s keen interest in Kenneth Grahame’s book The Wind in The Willows, which inspired some of the lyrics on the album, brought forth a new title. The Piper at the Gates of Dawn (the title of a short story included in Grahame’s 1908 novel for children), emerged as the album title just before it went to press in July 1967. The cover image was taken by photographer and music enthusiast Vic Singh, who had a new prism lens that had been given to him by his friend, George Harrison. While the album cover was intended to look like an acid trip, to me the effect is quite different. The band seems to merge into one multi-headed being ready to take on the world with their particular brand of rock'n'roll. It also shows a unified group as a force to be reckoned with, especially by its fans, daring us to buy the record. When the album was released the group had a hit single, “See Emily Play,” on the charts, but it wasn’t on the record. That single, which was first titled “Games For May,” was a new song specifically written for Pink Floyd’s appearance at the May 12th music festival at Queen Elizabeth Hall, in London. That multi-media concert was actually presented in a new sound system called Quadrophonic and Pink Floyd were the headliners. By the time the new song appeared, the album was already in the mixing stage. Nevertheless, the band’s timing was good. They had an album in the can and their very first single, released in March, called "Arnold Layne," was on the charts. That remarkable track, produced by Joe Boyd, had a sound as odd as its subject, a transvestite who steals women’s clothes from washing lines. Keep in mind that The Beatles released “Strawberry Fields Forever” a month earlier, so Floyd’s track fit right in with the trippy sounds heard that spring in 1967. As for the album, Norman Smith’s focus during the sessions may have reduced the impact of the band’s performances, according to die-hard fans at the time. Rob Chapman’s excellent biography, Syd Barrett: A Very Irregular Head (2010), reports that many of the fans, having witnessed most of the group’s long sets in concert, thought the album was “too commercial.” But Smith knew better than to let the band run wild, so he shaped the songs into an accessible yet interesting album with a dash of technical wizardry thrown in. His engineering on the opening track of side two, “Interstellar Overdrive,” reined in the performance version, which usually lasted 20 minutes. Smith pared it down to less then ten, but this particular instrumental best represents the sound of the band at its gigs. Listening to this track fifty years later (it sounds best in mono, by the way), one can hear the roots of Pink Floyd’s music after 1969. It’s an eclectic improvisational piece with plenty of dynamics featuring the unique sound of keyboard player Rick Wright. Over time Pink Floyd rounded off all the edges of their music to create the more familiar, dreamy sound we know today. So in many respects The Piper At The Gates of Dawn opened the door to their new form of music, which broke convention even while using conventional pop song structure. Pink Floyd’s post-‘67 mandate was all about advancing the thought-provoking compositions that followed after Barrett’s departure. The band’s second album, A Saucerful of Secrets with Barrett, includes his composition, “Jugband Blues,” featuring a Salvation Army band recruited by producer Norman Smith. That track was written and recorded in the fall of 1967. “Set The Controls For the Heart of the Sun” features all five members on this transitional album released in June 1968. Once David Gilmour joined, Barrett was no longer the front man for Pink Floyd. Nevertheless even when Barrett was out of the band, the other members often felt his presence. In 1975, for instance, David Gilmour was improvising on the guitar and played four notes (Bb F G E) that immediately reminded him of his former band mate. He took the music to Roger Waters just as the band was about to record the sequel to Dark Side of the Moon. Waters and Gilmour used the four notes to write “Shine On You Crazy Diamond” – the long, dramatic opening number to Wish You Were Here, whose title track also paid tribute to the band’s founder. Barrett left a bold impression on Waters, Gilmour, Wright and Mason. While they wanted to be rock stars in 1967, Barrett was uncomfortable with all the publicity that followed him. He got hooked on a drug that provided no relief and only made him worse to work with, so the band carried on without him. Barrett recorded a couple of solo albums, but his heart wasn’t into music anymore, so he went into relative obscurity to pursue his first love, oil painting. Barrett died of pancreatic cancer in 2006 at the age of 60. White Bicycles by Joe Boyd (Serpent’s Tail, 2006).